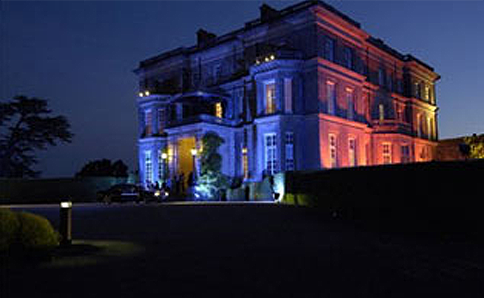 Pro System Services is proud to offer an extensive range of lighting services for your events. We have the expertise to offer typical generic lighting as well as outstanding intelligent lighting and many more. Our generic lighting stock includes Par Cans, Source 4 Profiles and CTT Fresnel’s to name a few. This type of lighting consumes a lot of power but provides strong bright lighting. Generic lighting can be used to light up parts of your stage, general colour washes or special focused features or spots. Intelligent lighting i.e. moving heads are extremely effective and can be used to set the ambience at your event. Due to its automated and mechanical abilities, intelligent lighting is also fast replacing traditional lighting in the stage world as it offers more flexibility with the use of colours and gobos. With the combined use of Haze or Smoke, you can achieve stunning rays of light. 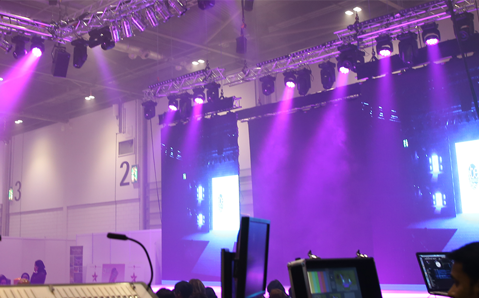 Our Intelligent lighting stock includes a fleet of the legendary Robe moving heads. Pro System Services provides outdoor and architectural lighting, whether it is to put lights in a tree or light up an entire building. 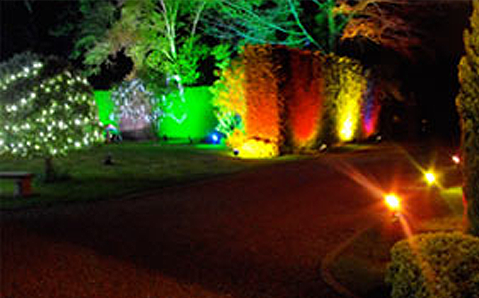 This is very popular for outdoor events as it is a way to decorate your event in the dark and give your guests the extra wow factor. We have large city colours that are designed to lightup large buildings down to small colour floods that can uplight a tree or statue. We stock a large amount of curtain lights in a variety of lengths and sizes which can be used to put around the front of your building. Fairy lights and icicle lights can be very effective at night especially in trees and around special features. New technology in our industry has introduced the ever growing LED lighting range. We have a very diverse range from LED PAR 64 to replace traditional ones on a stage, to LED Battens which are used for up lighting. The beauty of LED technology is that it allows you to mix any colour you want from red, green and blue, and uses very little electricity. It is a great way to set the mood and atmosphere for your event. You can light up the whole room or special features to add that magical touch to anything you want. Pro System Services offers “Pin Spotting” for your event whether it’s to illuminate the centre piece on tables or certain features for dinner receptions and functions. Pin spots are narrow beams of white light which are focused from a high position to avoid eye contact. 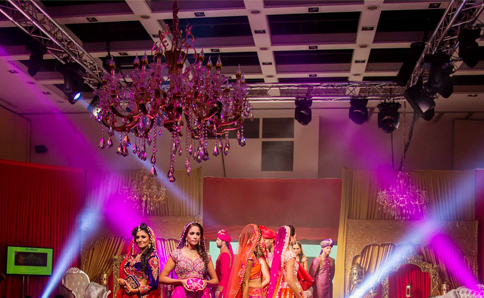 With the addition of haze these beams of light can be enhanced to give an impressive look to your event.